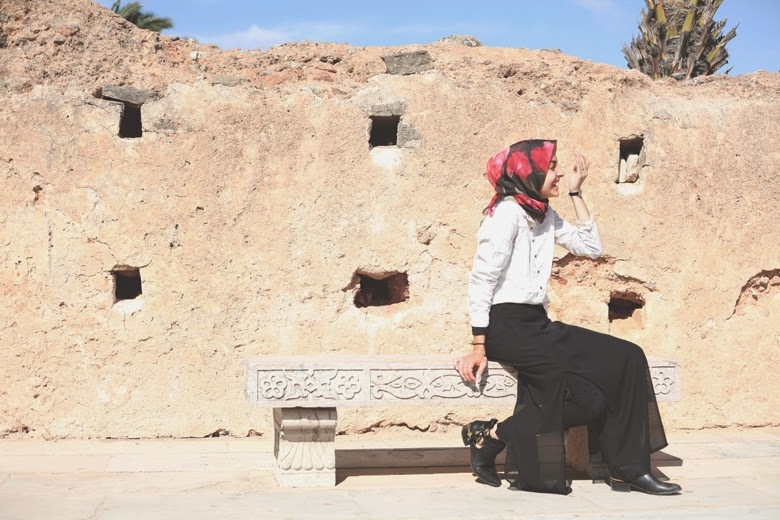 The Hassan Tower (for which I posted a few other photos from in this post) in Rabat are the remains of an ancient mosque that was started in around 1195 and never completed. Sort of like most things I try to start in my life. 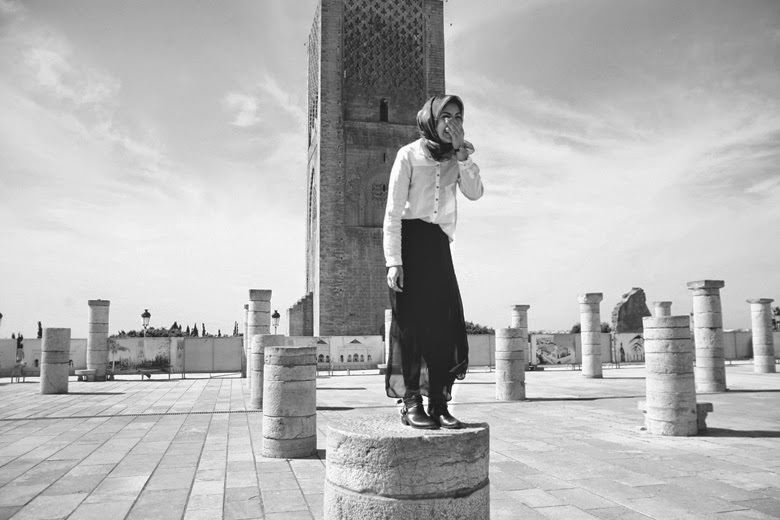 Don't forget to check out (& like) Youssef Harzy's facebook page, here to see more of his photography around Morocco! Hope to see you at the UNICEF For the Sake of Fashion 2015 benefit runway show October 12th! Enter to win 2 front row tickets (+ dinner) here! I love how lazily you half tucked in your shirt--you have really great personal style, Hoda! Very nice shoot! Love the photos and you are adorable! Good luck with the classes! Cute outfit! 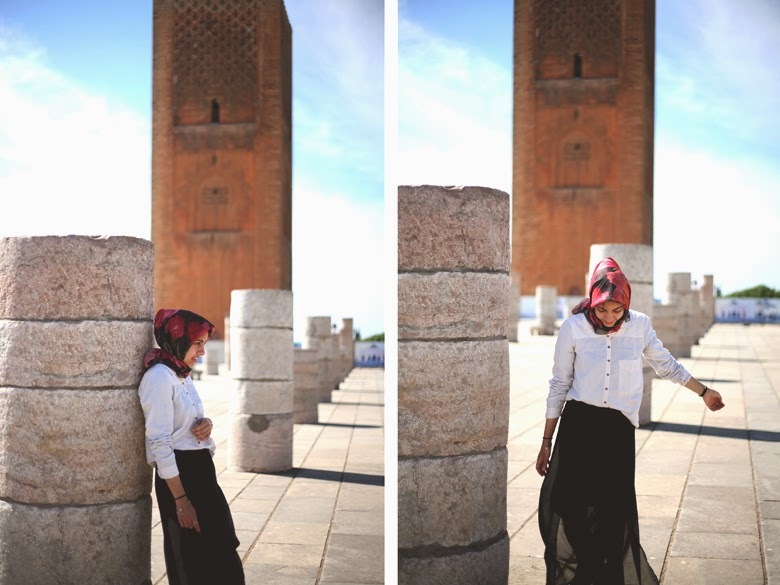 It looks like you had a fun time shooting these photos and the Hassan Tower backdrop is just spectacular! 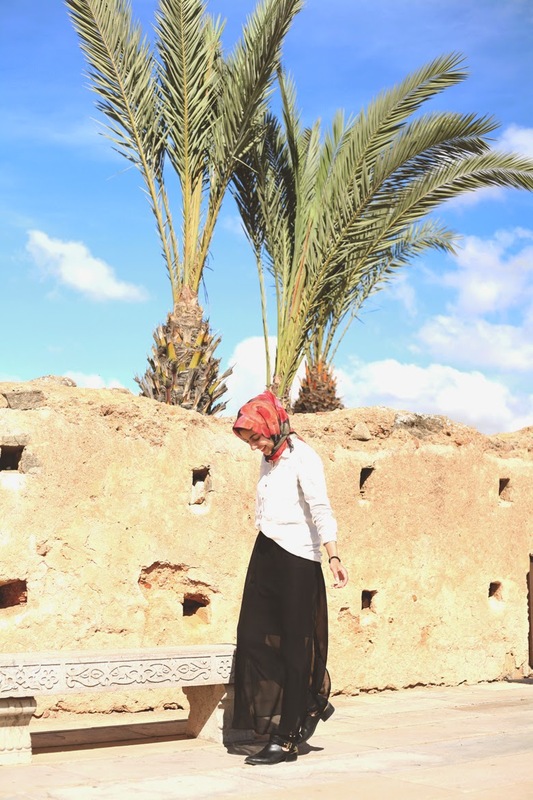 I absolutely love that you were able to take full advantage of all the picturesque parts of Morocco when you were there. I'm hoping that I get to do that whenever I get to go abroad next! Wow I don't think I've ever been to something that old. I think it's fascinating that the building wasn't finished. Do you know why it wasn't completed? I like your sheer skirt and leggings. I think it brings a touch of fancy into your outfit. Haha it's one of the weird things that I always end up doing...glad you like it! Thank you! c: I definitely need the wishes of luck! P.S. Am definitely planning to try out the recipe this coming weekend--I'll let you know how it turns out! Oh my you should go to Iran--everything is incredibly historic! And yes I actually thought it was just the ruins of a building when I first saw it! I just looked it up and according to wiki, it stopped because the ruler who was overseeing its construction at the time died? hm. hope you are enjoying your time there! I was in Morocco in april, not Rabat but Agadir, to surf. It was amazing, I'm in love with this country ! I love your outfit and this location ! Not so much a great surfer...! In fact I live in France and flying to Morocco is only 3 hours ! 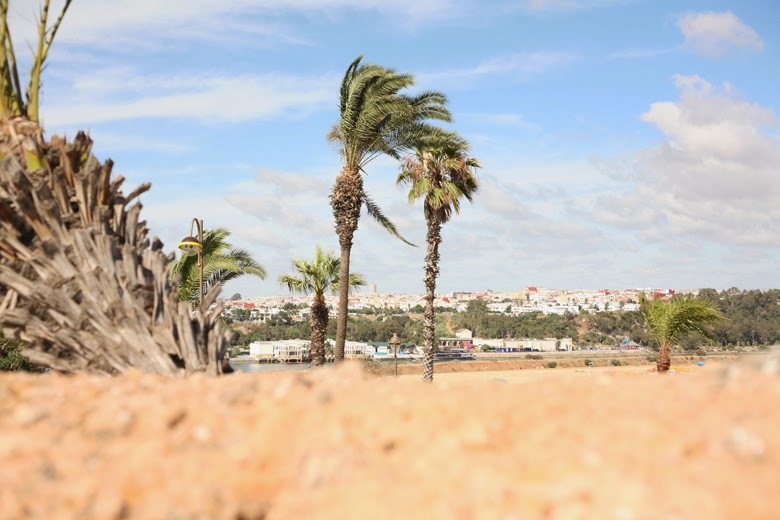 Spots are really cool in Agadir ! And people there are amazing ! Whhhatt!? I'm so jealous. I wish I lived closer to cooler places (the USA is rather boring!) I'll definitely need to ask you for recommended places to visit in Agadir when I go in a few months! And I agree--Moroccans are so great!